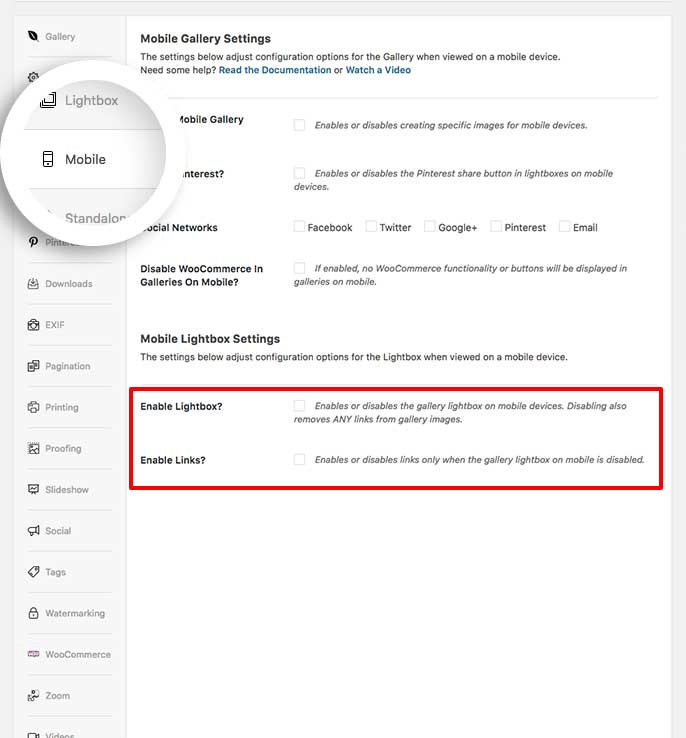 Would you like to stop your gallery images opening in the lightbox on mobile devices? You can easily disable the mobile lightbox and linking for your galleries and albums with Envira Gallery. It’s as easy as the click of a button, and we’ll show you how to do this. Why are my images still linking on mobile devices? Ultimate, Agency, Pro, Plus or Basic Envira license. You can read how to upgrade to one of these licenses here. Next, click over to the Mobile tab and uncheck the Enable Lightbox? under the Mobile Lightbox Settings and click Update on the gallery to save the changes. This means that Envira will ignore any links in the URL field of the gallery images. And that’s it! You’ve now disabled the lightbox for your gallery on mobile devices. Would you like to display your captions under your gallery images? Check out our tutorial on how to Display Image Captions Below Thumbnails. Q: Why are my images still linking on mobile devices? 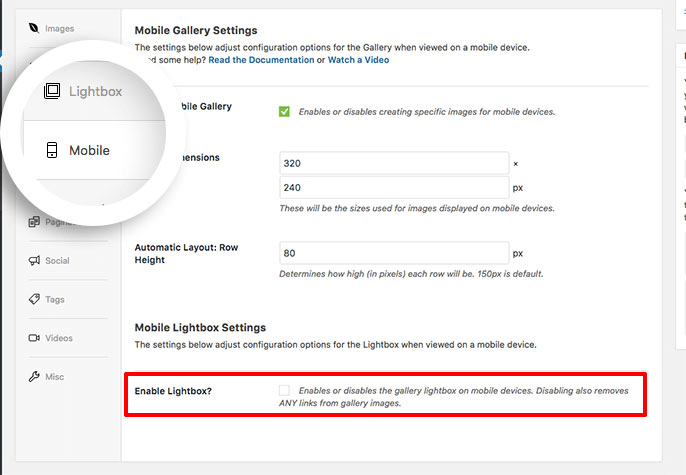 A: Confirm on the gallery’s Mobile tab that you have unchecked the Enable Lightbox? as well as the Enable Links? box.